Babilon is a company founded in 2003 that began his activity in the world of the gardening with the project to expand it towards the vertical dimension. 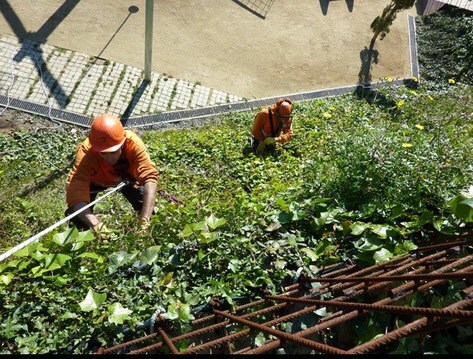 After several years working in traditional gardening, step by step and being a pioneer in the national panorama, they were reconvert his activity towards the vertical gardening and the landscaped covers. Babilon is a company compromised with the conservation of the environment, we have the will to take part in the creation and spreading of the culture of the vertical gardening and the green covers. The integration of the vegetation in the architecture is not only a professional orientation, it is a desire that seeks to transform the urban landscapes and to make them more agreeable and habitable. Recently, Babilon is one of the companies that has more experience in the installation of modular vertical technologies. We are professional gardeners and vertical officially accredited workers and this turns us into a qualified, specialized and decisive company for his projects of vertical gardening.